I felt the 12th was a big fleet with people that would socialize and be great members. 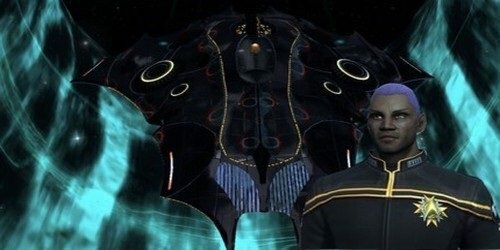 When I originally came to the 12th, I was looking for a fleet that was big and had starbases. These reasons are why someone should want to be in a fleet, but I now realize that I also want a fleet with people to interact with and speak with. Contributions to the fleet through materials and marks will be made, but outside STO, I will strive to make meaningful connections in this community. An MMO only works if you have a lot of people being team players. I intend to be one. Qapla'~ and Welcome to the 12th. Good luck with your application! Welcome back. Lblackmoor will soon process your application. I am currently processing your re-application for 12th Fleet! Please check that you have listed your character/@handle exactly as it appears in-game. I assign you as an Ensign to Beta (Phoenix) Squadron (Central Time Squad) under Captain Kuvak. If you haven't already, I recommend you read through our Information Index as it contains information on all our communication channels as well as other important information. Note, even though you were previously a member, you must go through the Recruit rank again in-game until you have been back a month. Don't forget to reset your avatar to Ensign! You can set your avatar at: http://forums.12th-fleet.com/ucp.php?i=profile&mode=avatar, just click on Display gallery, Go to the Local gallery Category Tactical Division and choose the Ensign avatar (first one on the top left). After that press "submit" and you're done. In the next few minutes I will be sending you invites in-game to join the main fleet and 12th chat. You will find the fleet invite in your Fleet window, and the chat invite will be in you chat options under the "Channels" tab. Be sure to press the button to join the "12th" chat channel. Welcome back to the 12th and Tactical!